Use of citations and Web links embedded in online teaching materials was studied for an undergraduate course. The undergraduate students enrolled in Geographic Information Science for Geography and Regional Development used Web links more often than citations, but clearly did not see them as key to enhancing learning. Current conventions for citing and linking tend to make citations and links invisible. 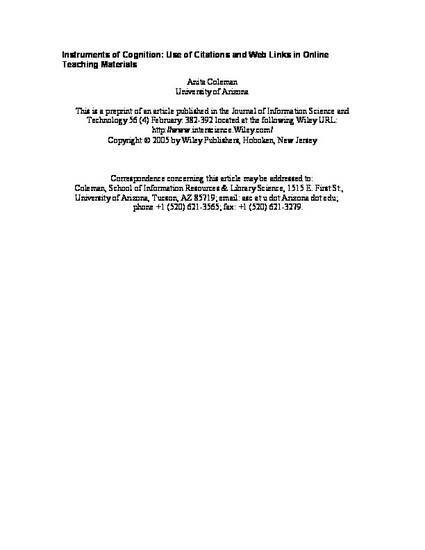 There is some evidence that citations and Web links categorized and highlighted in terms of their importance and function to be served may help student learning in interdisciplinary domains.